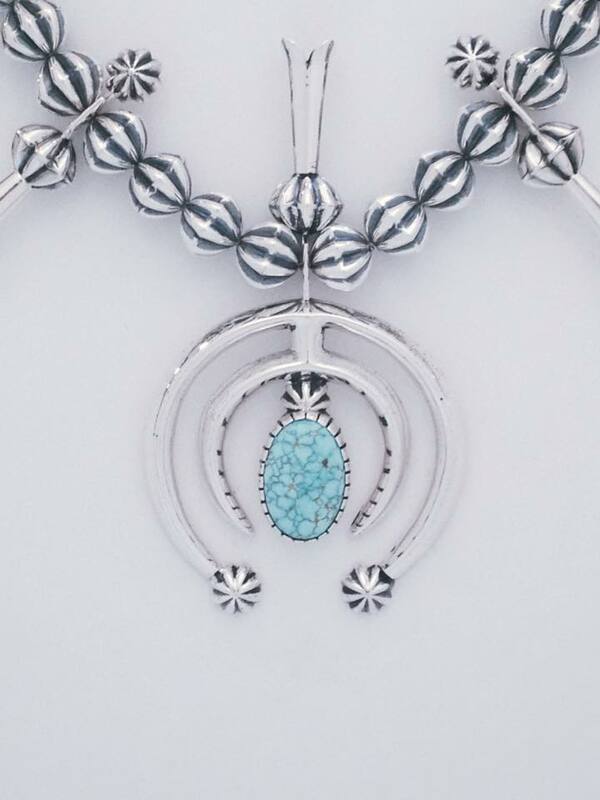 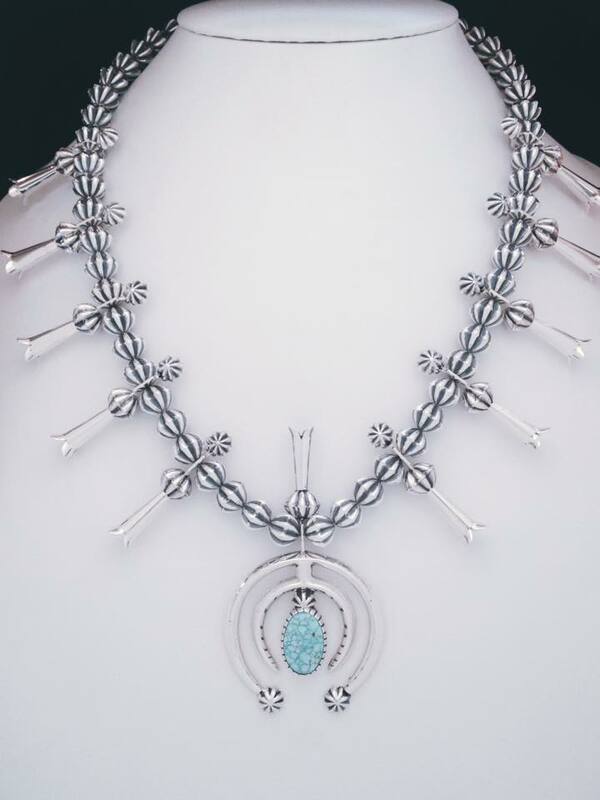 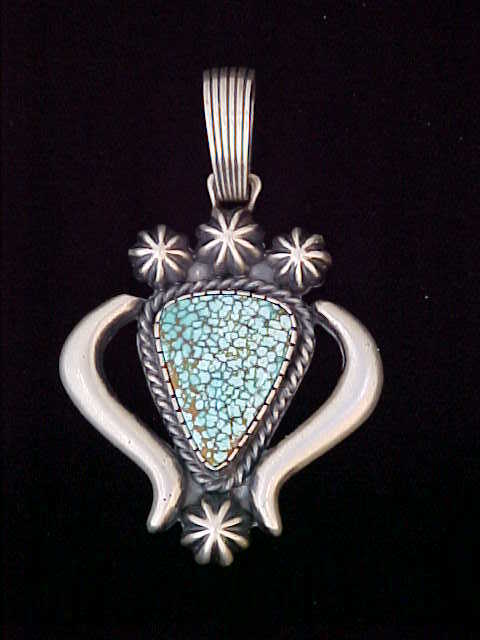 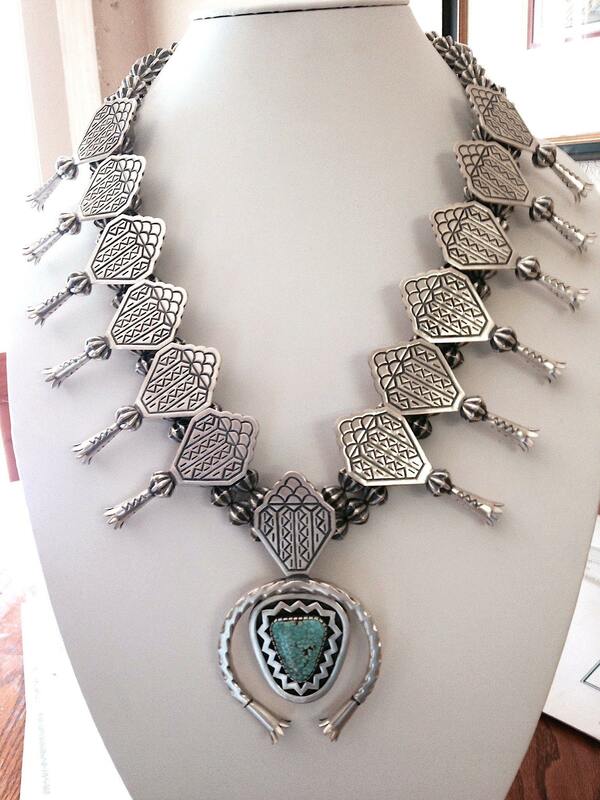 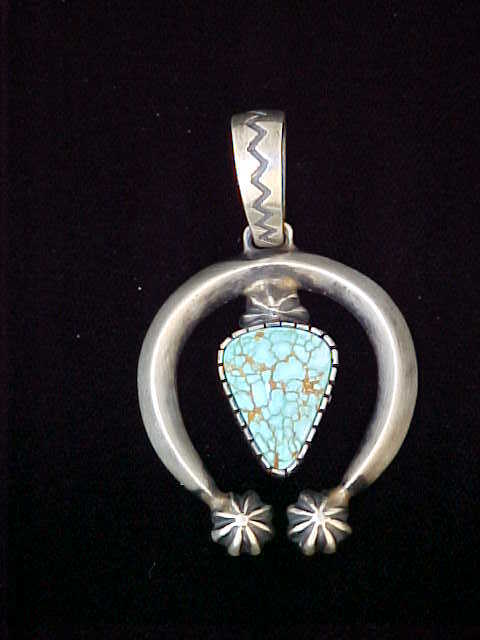 Sterling silver fluted bead style squash blossom necklace with natural Nevada #8 turquoise. 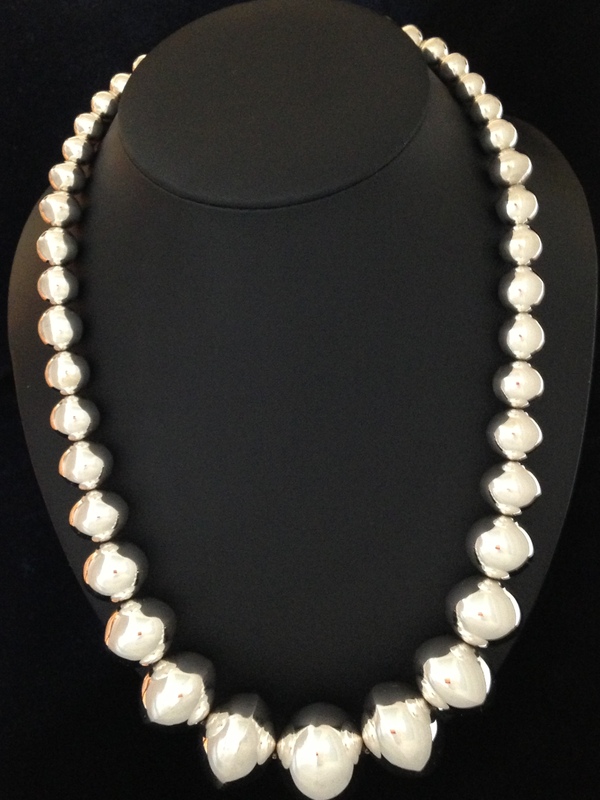 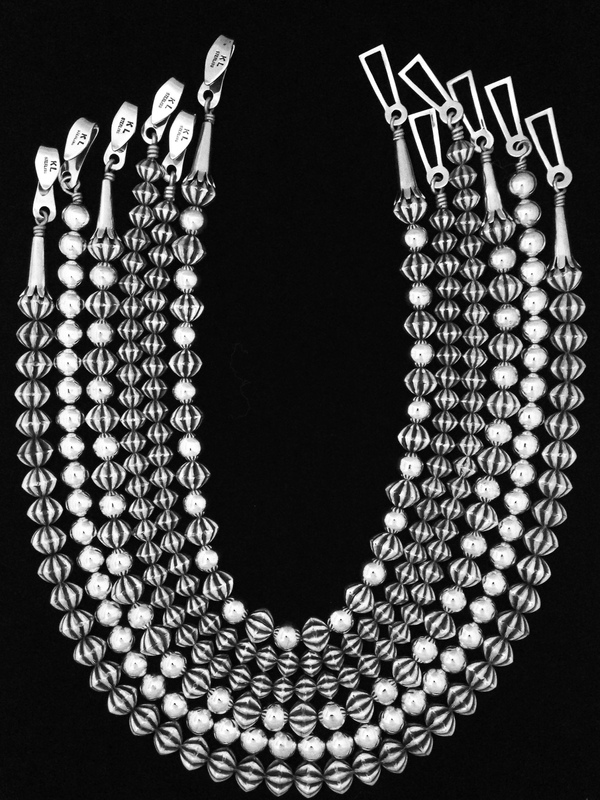 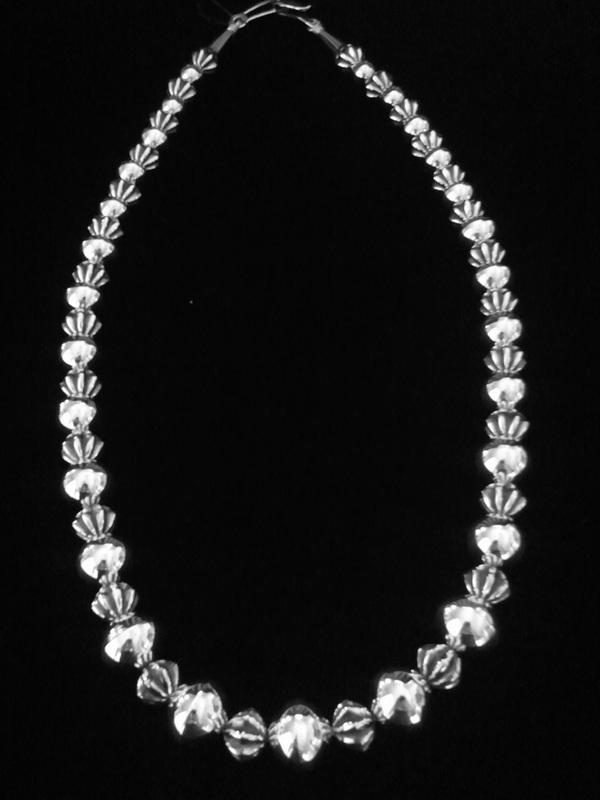 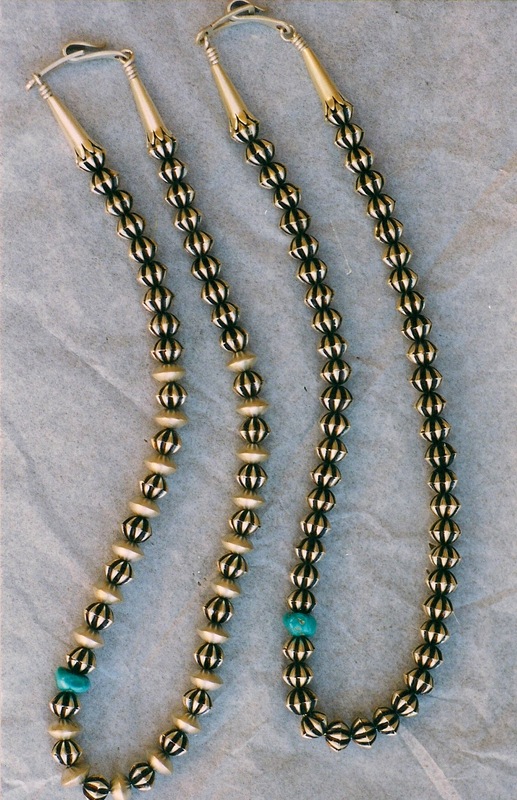 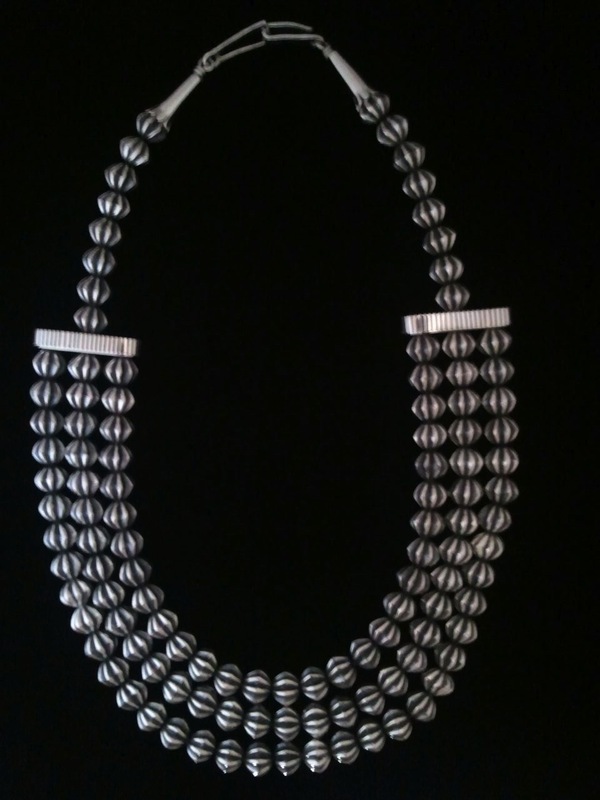 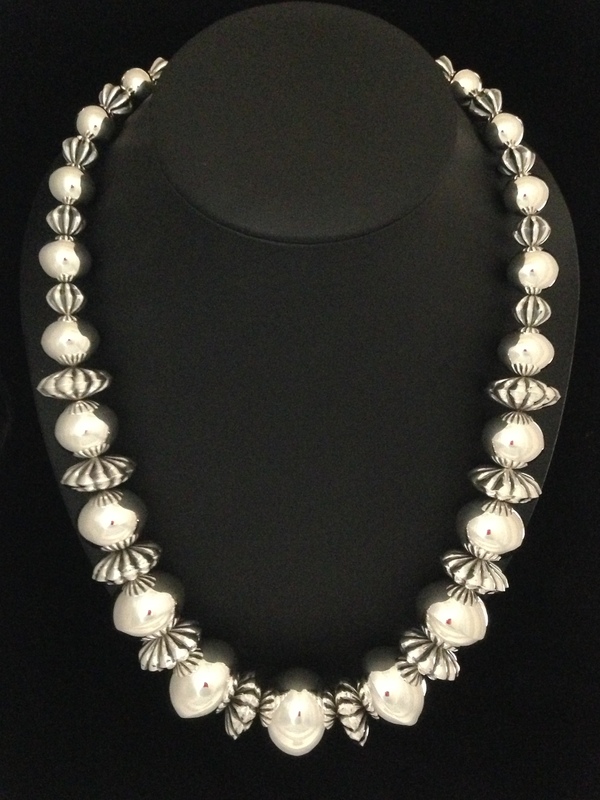 Assortment of fluted and plain bead sterling silver necklaces. 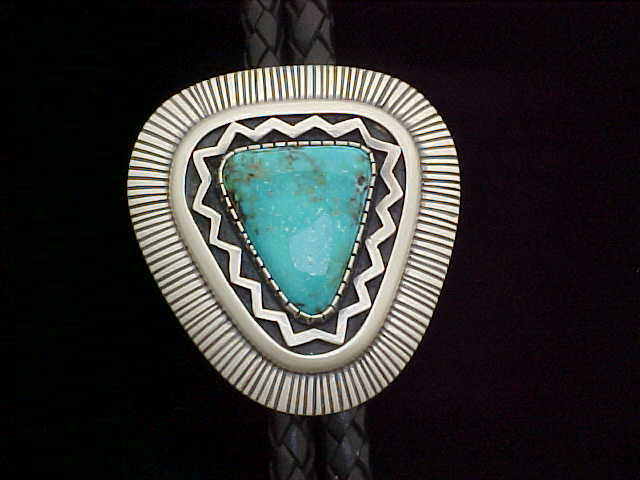 Any length available upon request.